The handset sports a 4" AMOLED screen and 5 mp camera; already available on Snapdeal.com for a week now. 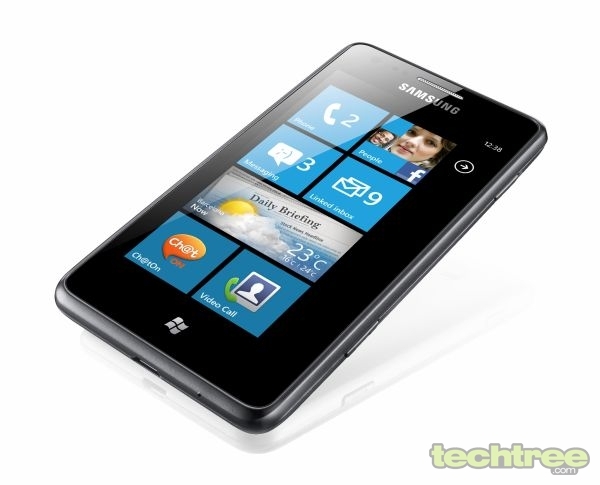 Samsung has finally launched the Windows Phone 7.5 based OMNIA M in India. The handset's official release has come a bit late, considering that it has been available online for the past week. The OMNIA M is powered by a 1 GHz CPU, and has 384 MB of RAM. Its 4" Super AMOLED screen has pixel dimensions of 480x800. For detailed specs, click on the link provided above. While Samsung has priced the device at Rs 18,700, it's readily available for Rs 16,000 in most online stores, as well as brick-and-mortar shops. This makes it Rs 700 dearer than the OMNIA W, which features better specs, but has a relatively smaller 3.7" screen. Therefore, the success of the OMNIA M will depend on whether users prefer a bigger screen over performance.